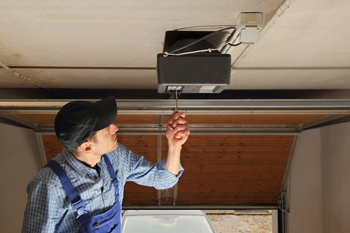 The friendly staff of Garage Door Repair San Gabriel welcomes your thoughts, concerns and questions and puts an end to all problems with the most suitable solutions. As an experienced contractor, our company is aware that installation, replacement and repair services need attention, expertise and knowhow. It's hardly surprising that we have chosen to work with some of the best technical teams in California. We also have exceptionally well equipped vans and overhead door specialists who will take care of emergency issues. Electric garage systems are our specialty since we have perfect knowledge of all electric operators and their accessories. We are experts in maintenance and replacement services. We know how to replace broken components and how to install all types of doors with excellence. We know how to deal with overhead door springs problems and how to fix opener issues, so that your safety will be ensured. Keeping you safe and happy is our ultimate goal and our Garage Door Repair company in San Gabriel guarantees it with top services. This is one of those rare terms which sort of means what it says. It describes a piece of kit which is used to stop the rain flowing freely over your garage floor, making you a nice indoor pond. It is there to hold the door flush in place against the finish whenever the door has been closed. 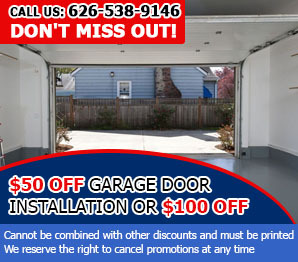 There is a great deal that goes into weather proofing a garage door. Our company is an authority when it comes to garage doors. We repair and install quality doors for homes and commercial establishments in California. We carry superior products and provide topnotch services in zip code 91776 delivered by our expert technicians.